Over the course of two days, 95 Citizens for Space Exploration travelers made a record 376 congressional office visits. 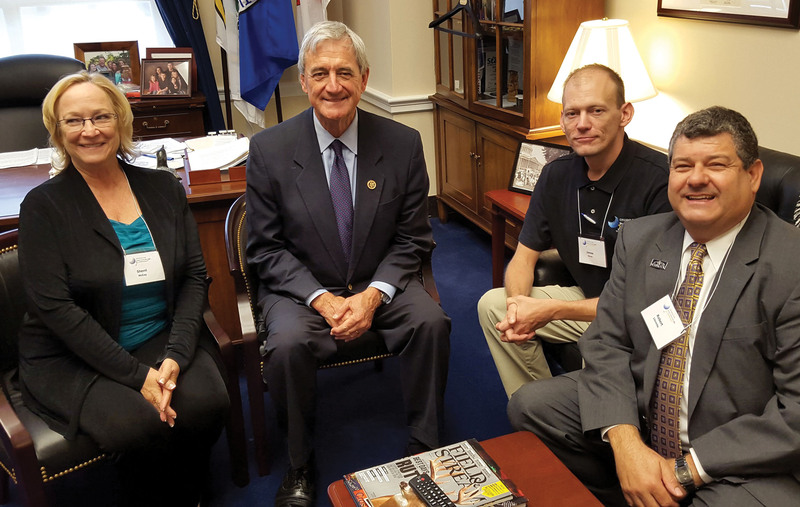 Shown are Sherri McCoy, Minnesota Rep. Rick Nolan, James Oman, and Seabrook Councilman Robert Llorente. 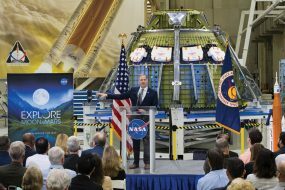 Not only is space exploration big business for Bay Area Houston, it’s very important business for a number of reasons. Every year for the past 24 years, the Citizens for Space Exploration (CSE) group has traveled to Washington, D.C., to advance support for NASA and to educate members of Congress and their staff about a number of key points including support for NASA’s human space exploration portfolio and NASA’s role in supporting American leadership, education, innovation, health care, and quality of life for less than half of one percent of the budget. 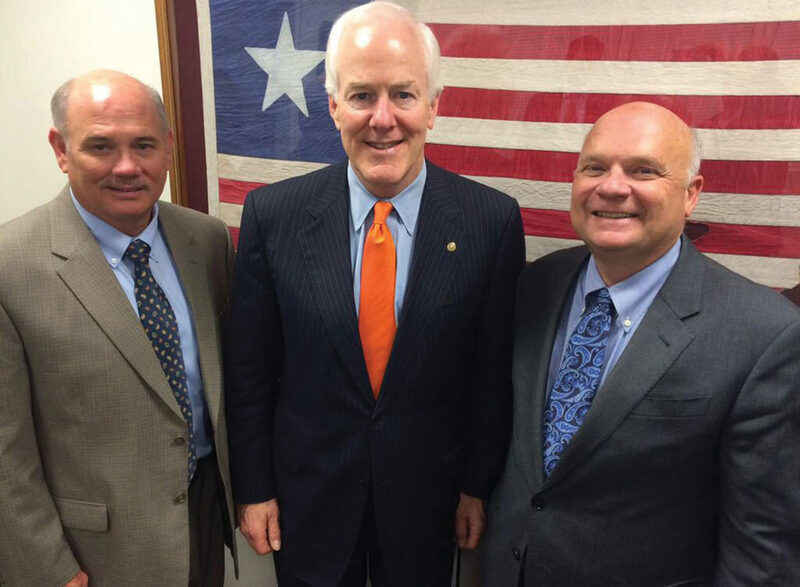 BAHEP President Bob Mitchell, left, and Moody National Bank President Victor Pierson, right, who is also chairman of the BAHEP board of directors, are shown during a visit with Texas Sen. John Cornyn at the senator’s office. Talking points this year also included concern about Russia and the increasing importance of a well-funded NASA in uncertain geopolitical times. A total of 95 CSE travelers spent two days — May 19-21 — on Capitol Hill, demonstrating the existence of a large, grassroots constituency for space exploration. Their 376 visits set the all-time record in the number of actual office visits. 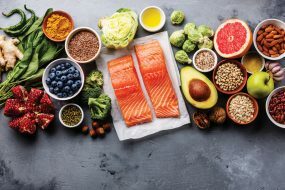 The diverse group of travelers included 32 university students majoring in engineering or related technical fields of study, industry representatives, community leaders, and elected officials. 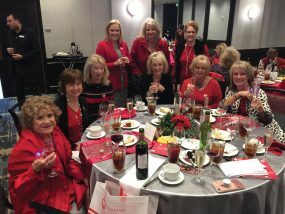 The local elected officials were League City Mayor Tim Paulissen, and City Council Members Dave Martin of Houston, Jonathan Amdur of Nassau Bay, Dr. Pat McGinnis of Friendswood and Robert Llorente of Seabrook. 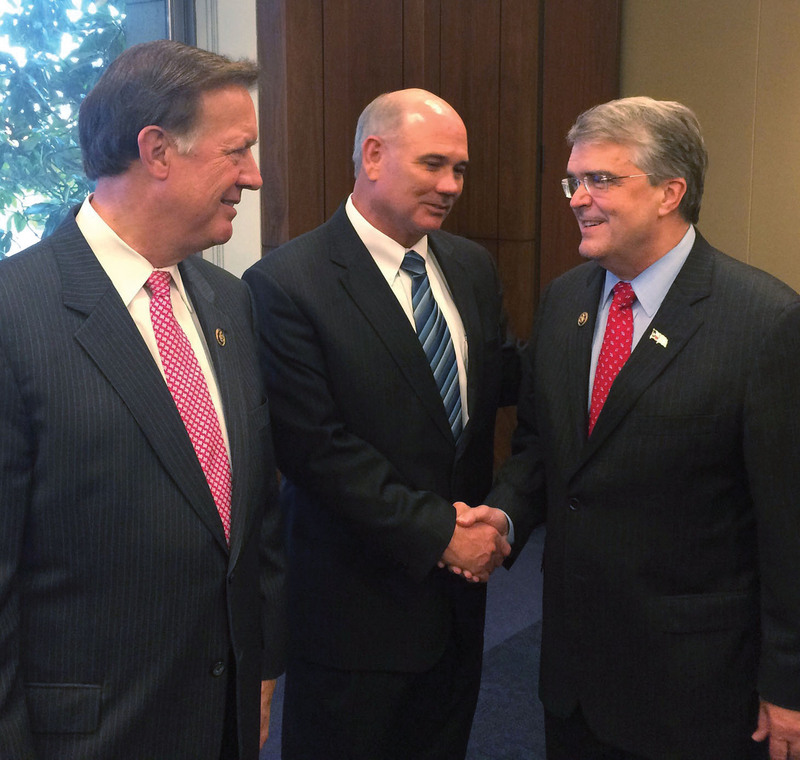 Rep. Randy Weber, BAHEP President Bob Mitchell, and Rep. John Culberson, from left, are shown following remarks by the Texas lawmakers during the Congressional Reception. The Bay Area Houston Economic Partnership is the home of Citizens for Space Exploration Texas.